For those who like to think about the future of online advertising we’re launching a new initiative in our Bing Ads LinkedIn group very soon: Dear Dare. Dear Dare is an opportunity to ask your most challenging questions about the future of search, online advertising, competitive strategy, and platform innovation to Bing Ads’ Lead Program Manager. A new year, a new frontier in communication. One that rises above the day-to-day noise to tackle broad questions about search and display, Bing Ads, the competitive landscape, and product planning. We’re calling it Dear Dare, and ask you to throw us your most challenging questions about the future of search, online advertising, competitive strategy, and platform innovation. Will Bing Ads spend more time on developing parity with AdWords or its own innovative offerings in 2014? What’s your Point of View on the future of Display relative to Search? What do you make of native advertising, anyway? 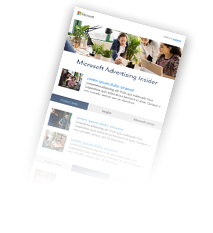 If you are not yet a member of our Bing Ads LinkedIn group you can join here to follow and join the discussions. How does Dear Dare work? Ask us a question you have about the future of search, online advertising, competitive strategy and platform innovation or search situations you need an expert opinion on and Dare will answer one of them each month in the Bing Ads LinkedIn group after which both the question and answer can be discussed by anyone (the beauty of social). Submit your questions here, to @BingAds on Twitter (#deardare), on Facebook, or our LinkedIn page. The PPC Ideas Exchange and Ask an Expert LinkedIn launch. A retail Ask an Expert in which international retail search specialists available to you to ask questions ahead of the Christmas peak. An interesting Smart Search Ask an Expert with senior product manager Anna Hughes. You can expect more Ask an Expert and industry discussions in 2014. You may also be familiar with the Bing Ads Feature Suggestion Forum a platform where you can list and vote on suggestions which Bing Ads Platform that would make your life easier. Dear Dare: Where do ads show up when you advertise on Bing Ads?